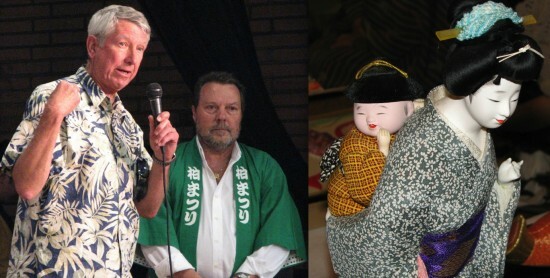 The Torrance Sister City Association presented the 41st annual Bunka-Sai on April 20 and 21 at the Ken Miller Recreation Center in Torrance. 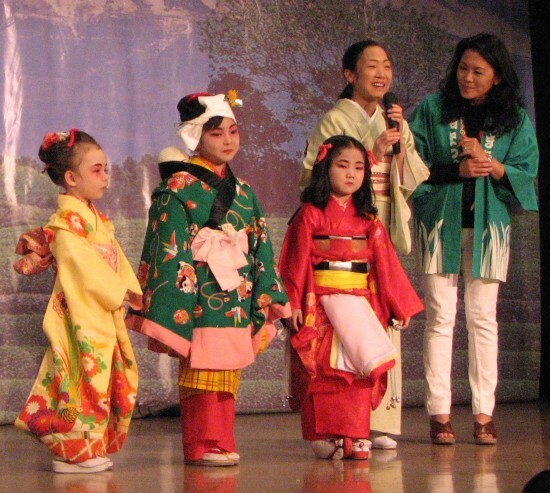 The Japanese cultural festival, which features food, games for children, an arts and crafts boutique, drawings for prizes, performances, demonstrations and displays, benefits TSCA’s student exchange program. Entertainment included Japanese classical dance by Mai no Kai. 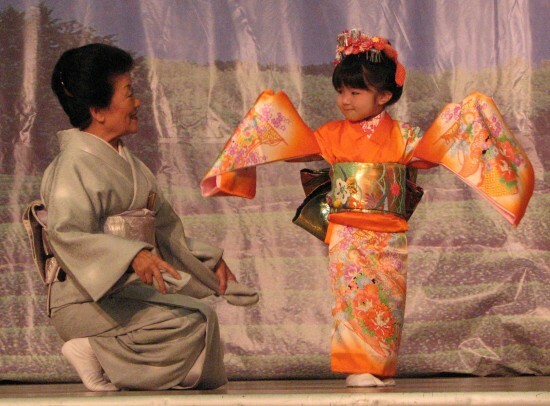 Above, 3½-year-old Brooke Misao Tam makes her debut performing “Futatsu Futatsu” under the guidance of Bando Kohiro. The other instructors are Bando Hirosuzu and Bando Hiromiya. 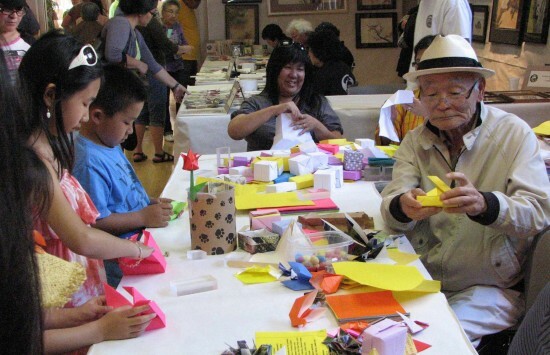 In the crafts area, people of all ages enjoyed origami. 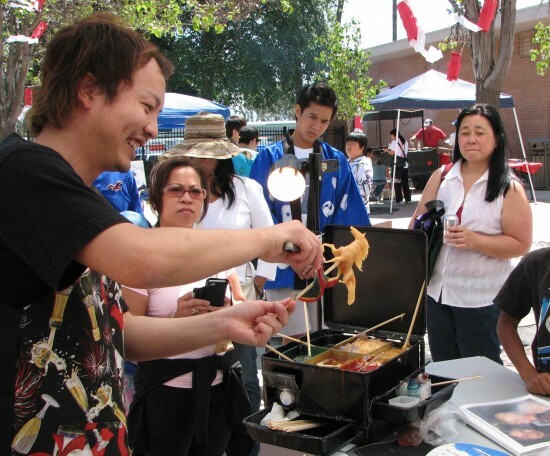 New this year, Shan Ichiyanagi wowed audiences with his candy sculptures. 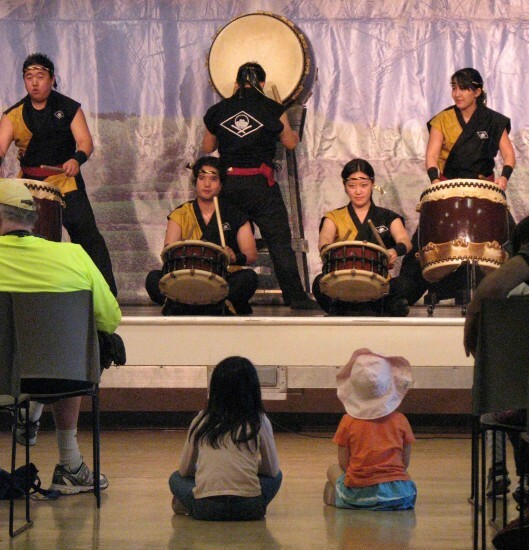 These kids were mesmerized by Kishin Taiko’s drumming. 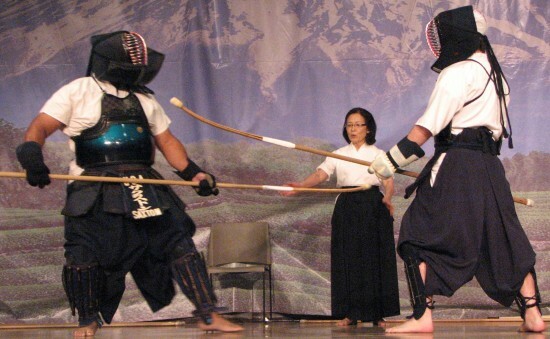 Sensei Helen Nakano oversaw a demonstration of naginata. 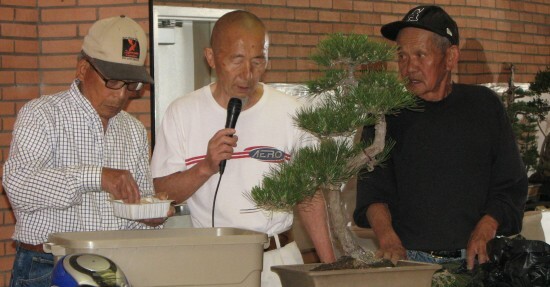 Members of Koyu Kai gave bonsai demonstrations. The festival also included ikebana demonstrations by Ikenobo Kai. Left: TSCA President Werner Willoughby discussed Torrance’s exchange programs with Kashiwa, Chiba Prefecture. He is pictured with educator and TSCA member Dan Fichtner, who served as emcee on Saturday. Right: Kimekomi ningyo (dolls) displayed by Kihara’s Arts and Craft Studio. From right: Broadcast journalist Tricia Takasugi, who served as emcee on Sunday, chatted with Bando Hidesomi, who introduced members of her Nihon Buyo Kai, including Sophie Manami Kawakami, Airi Shinozaki and Liana Davis Itaya. These furisode kimono were part of a presentation by Sueko Oshimoto of the Yamano Dressing School, which included a demonstration of how to tie an obi. 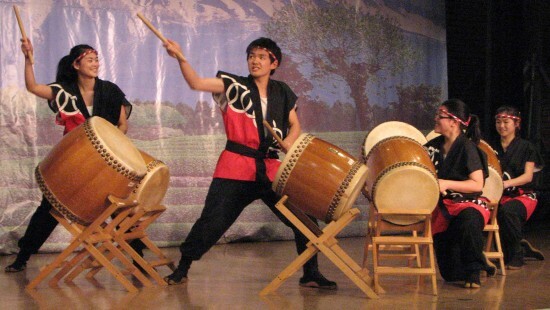 Members of Isami Taiko from Gardena Buddhist Church. 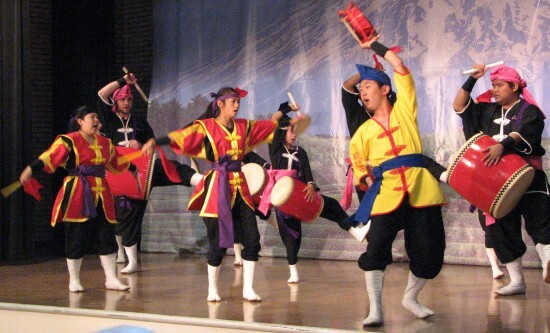 Also new this year — performances by Okinawa Association of America Geinobu, Aikoh Kai, Kansei Kai, and Ryukyukoku Matsuri Daiko (pictured). 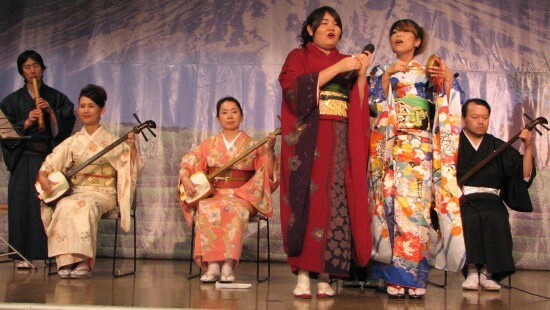 Japanese folk music was provided by the singers and shamisen players of Matsutoyo Kai.